EXPLORE YOUR WORLD WITH HOLOGRAMS! 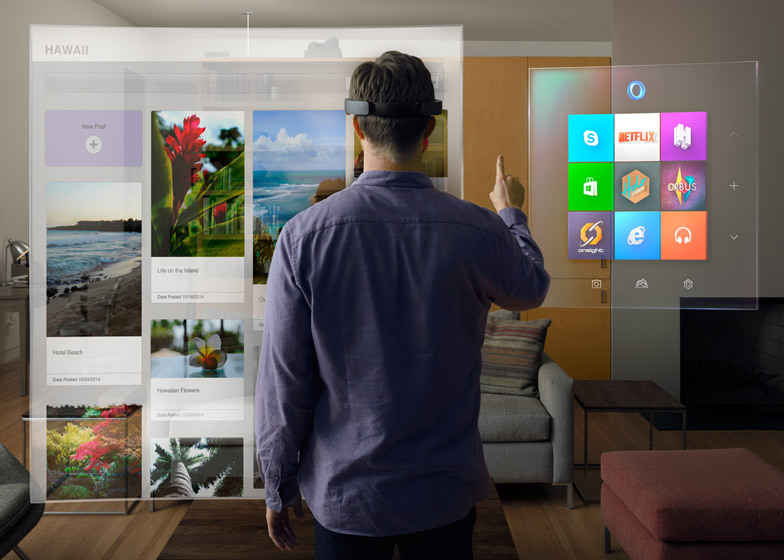 Microsoft revealed an early version of an upgraded headset called Microsoft HoloLens that can create interactive holographic imagery in the vision of the wearer.This device creates a virtual universe and will conjure high definition digital holograms in existing spaces as if they popping out and dresses the real world with complex objects, menus or application that can be interacted with motion control technology by using fingers and other hand movements.HoloLens uses a camera sensor with a 120 x 120 degrees field of view, a microphone array, a photographic video camera and an inertial measurement unit (IMU), it also features Holographic Processing Unit that can efficiently process and integrates data from various sensors, gesture recognition and speech recognition. According to Alex Kipman, HoloLens Chief Inventor, HPU processes terabytes of information from the HoloLenss sensors in real time.Want to know more about this awesome device? Follow this link!